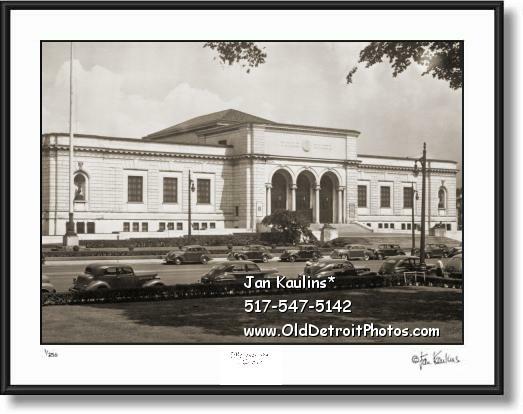 DETROIT INSTITUTE OF ARTS DIA 1940's photo picture print photograph for sale. This sepia toned DETROIT INSTITUTE OF ARTS 1940's photo print for sale is made from a professionallyl restored original 1940's vintage negative/photo. It pictures the front of the historic Detroit Institute of Arts with 1930's and early 1940's vintage vehicles parked on Woodward Avenue in front of and across from the DIA.